Among 12 million objects and specimens in the collection of National Museums Scotland (NMS), its director Gordon Rintoul names a massive wooden feast bowl from the Cook Islands as a favourite. 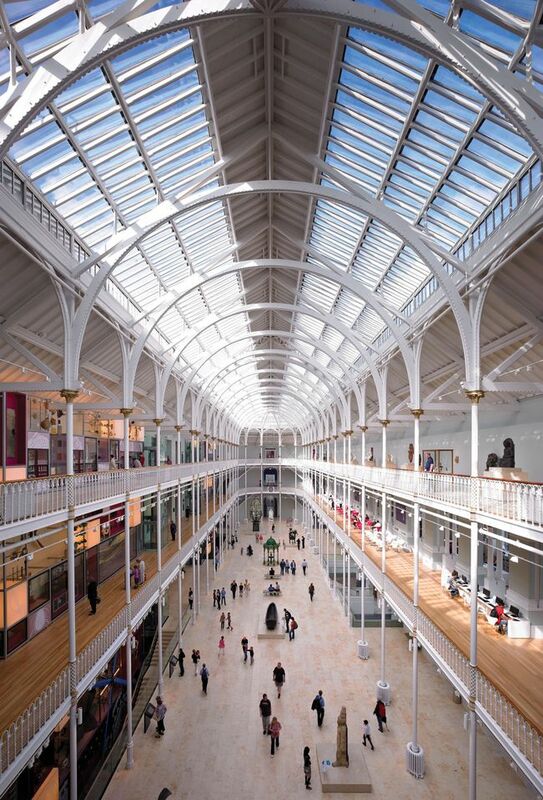 Once owned by a Tahitian princess who improbably settled in Fife in the late 1800s, the artefact stands today in the Grand Gallery of the National Museum of Scotland in Edinburgh as a testament to the country’s connections with the wider world. True to its earliest origins in the Scottish Enlightenment, the museum is “a place where people can explore the whole world under one roof”, Rintoul says. This is truer than ever today (8 February), as the museum completes the fourth and final phase of an ambitious transformation project, initiated by Rintoul in 2004. Revamped galleries devoted to Ancient Egypt, East Asia and ceramics are the last of 29 spaces to open, bringing to an end an £80m masterplan to turn the outmoded main building into a 21st-century museum, united with the 1998 building next door. The 15-year process has carved out 50% more public space and revealed more than 6,500 objects that had spent decades languishing in storage—including the princess’s imposing feasting bowl. The transformation, which involved closing most of the building for a major refurbishment by Hoskins Architects from 2008 to 2011, has made virtues of historic “problems”, Rintoul says. The birdcage-like spaces designed in the 19th century by Francis Fowke have re-emerged as the museum’s “biggest exhibit”, with open archways and atria serving as dramatic showcases for large objects such as an 18ft-tall stuffed giraffe and suspended planes. The “huge breadth of collections” is still visible, but ordered into four vertical stacks of galleries: art and design, natural world, science and technology and world cultures. One such rediscovery even sparked a row with the Egyptian antiquities repatriation department last month. After an announcement that a rare casing stone from the Great Pyramid of Giza will feature in the museum’s new Egypt gallery, the department’s supervisor-general demanded proof that the artefact was legitimately acquired. “They have asked for information and we will give them references to the original background,” Rintoul says. The stone came to Edinburgh in 1872 with an engineer in the service of Scotland’s astronomer royal Charles Piazzi Smyth, who was authorised to research the pyramids by the Ottoman viceroy of Egypt. “It was all very thoroughly documented at the time, but I think it’s an interesting example of something no one knew we had,” Rintoul says. The new Egyptian displays are strategically placed on the top floor, he says, “to encourage people to go up and explore the building”. An estimated 45% of visitors currently venture off the ground floor, while overall attendance has climbed to 2.3 million. According to the Association for Leading Visitor Attractions, the free-entry museum was the most popular UK attraction outside London in 2017. Rintoul credits an extensive public consultation before and during the redesign. “I don’t think we would have ended up tripling the number of visitors if we hadn’t had that visitor focus,” he says. The figures also show “a very unusual pattern” of sustained increase in years without major gallery openings, which Rintoul attributes to word-of-mouth recommendations and a lively public programme. In the summer, the museum becomes an official venue of the Edinburgh Festival Fringe, hosting regular music, comedy and theatre performances. Rintoul expresses trepidation at the uncertain impact of Brexit on visitors—not to mention staff, funding and the circulation of museum objects—but, for now, the museum is riding high on its leading role in the Scottish museums sector and growing international profile. 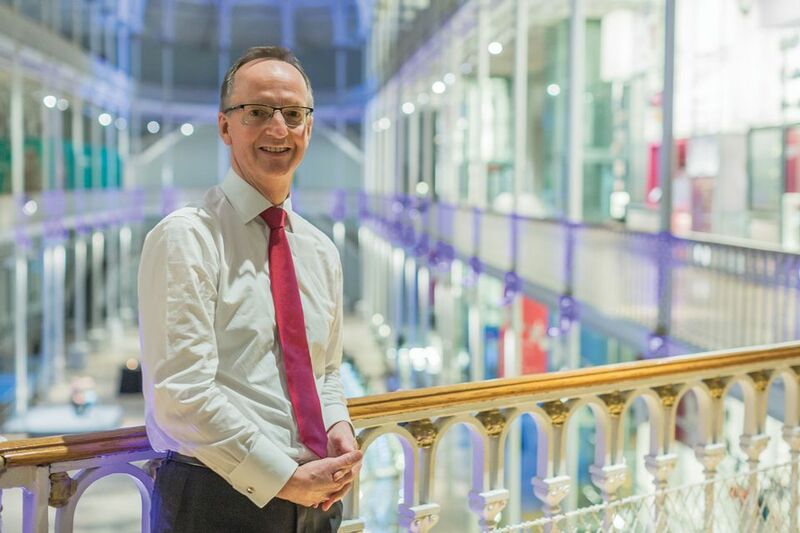 Future plans include a Lottery-funded programme of Egyptian and Asian art displays at partner museums across Scotland and a 2020 exhibition of the Galloway Hoard of Viking-era gold and silver, which NMS acquired in 2017 after fundraising nearly £2m. The Scottish government has pledged £150,000 to support the hoard’s two-year national tour.